Bundle of Warmth has just launched a new bundled firewood website to delivered across the United States with assurance of quality. Southern Tier Products, Inc. (STFP) has been a leader in kiln dried and bundled firewood products since 1983. The company has grown in size from 8,800 packages of .75 cubic foot bundles in 1983 to over 600,000/year now, with additional bundle of warmth products. STFP has recently started a new website www.bundleofwarmth.com which is an online store to provide firewood products on the website. This firewood is delivered nationwide in USA. Bundle of Warmth sells their fire wood from small gas stations to large big box stores. The benefits of kiln drying wood is inset irradiation, reduces creosote issues and starts quickly because it’s a higher quality product. All wood that is sold by Bundle of Warmth is USDA certified. These products include kindling, bundles and palletized cord wood for residential and/or commercial use. All the wood used in our products is N.E. hardwoods that include Ash, Beech, Birch, Cherry firewood, Hickory and Maple. Much of the raw materials used to produce each item used to be left in the woods as there was no market for it other than homeowners who had full log trucks delivered to their home to be used for the winter heating season. The raw material is in big demand for firewood and paper pulp. Hence there are more companies seeking the raw materials that are available. Bundle of Warmth has a large production and shipping center that maximizes the company’s ability to deliver products throughout the United States. 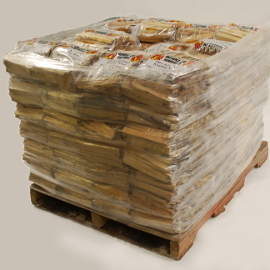 Bundle of Warmth’s production capabilities can satisfy the needs of regional and national chain stores by delivering boxes bundled or palletized kiln dried hardwoods. 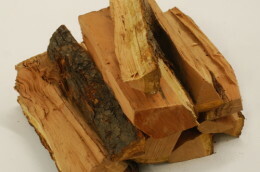 Our bundled firewood website also offers discounts when the customer buys wholesale firewood, chimney firewood or wholesale kindling. These products will be shipped freight and shipped across the United States, the customer can call the company and get the shipping and pallet pricing information. The kilns used to dry Bundle of Warmth’s products are not like others in the industry. The company believes in the finished products they produce. Main aim of the company is for the consumer to have a great experience. CEO of the company says “We believe in providing value service to the customers so that they don’t think twice while purchasing from us again.” Bundle of warmth follows strict quality processes and ensures that the customer always get quality products all the time.